We are drawn to the ocean by a force of nature. While most will be left to stare with fascination at the surface wondering what lies beneath, as a diver you are able to plunge into a whole new world of adventure, beauty and wonder. Seven tenths of our world is covered by ocean and yet only a relative few will see what the underwater world has to offer. From the tiniest of creatures that will fascinate with their unrivaled beauty to the truly awe inspiring giants of the ocean you will be amazed. Diving offers something for everyone, you choose the adrenaline level. From an easy dive floating in mid water watching the world go by to an action packed deep wreck or cave dive. 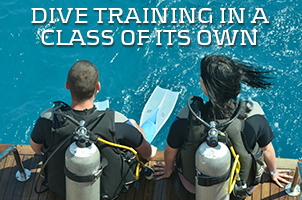 RAID can not only teach you to dive, we have courses for every level on our unique online training system, from beginner to instructor in almost every type of diving. Once you complete one program select your next - the adventure never stops. 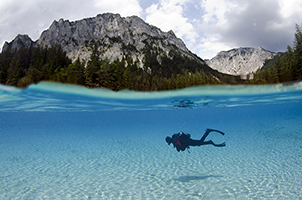 You can carry the activities you love on land and take them underwater, do you love photography? You will treasure the images you can capture underwater, are you are interested in history? Swimming through a World War II wreck is an awe inspiring experience. Start Today! Your vacation will become much more than an excuse to sit around the pool enjoying a few drinks. It will become an opportunity to explore new dive sites and meet new people who love life as much as you. Once you become a diver you can join your local RAID Dive Center as they travel the globe looking for the world's hottest dive sites. Start Today! 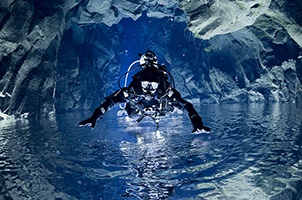 There are some incredible dives almost anywhere there is water. You will meet new friends and be part of the sub culture of people who love life and love to dive. With RAID's unique online training system you can start today with what we call our Learn To Scuba Online system and then when you're ready, your RAID Dive Center will review what you have learned and complete your practical sessions. Register with RAID by clicking here. 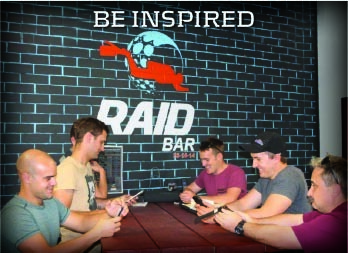 Once registered access the RAID online store and purchase the course most relevant to you! 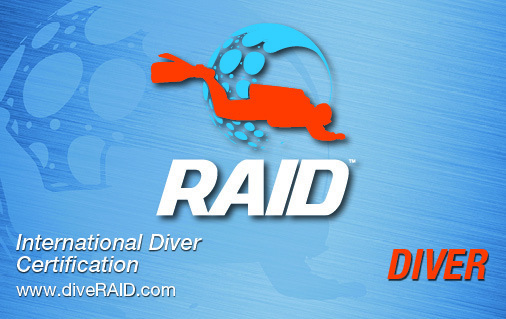 For new divers RAID recommends our entry level program, the RAID Open Water 20 diver course. Once purchased your course material will automatically be made accessible to you online to start your study straight away! Note: the online course fee covers access to the course materials and your cost of global registration (Your Electronic C Card- known as an E Card) once you have completed your training. Other companies charge your store extra for this which will be embedded in the price of your practical training charged by the store. RAID has the most comprehensive online platform in the world incorporating a unique quality assurance system that helps ensure more consistent quality outcomes. Secondly we teach to a higher standard compared to many other organizations, like most other training companies we comply to minimum standards as outlined by ISO but to truly ensure better quality and more confident divers we have a much stronger emphasis on core skills, especially buoyancy control. You will generally quickly pick a RAID trained diver because they exhibit excellent buoyancy control. Why is this important? While with proper training diving is a relatively safe activity, poor buoyancy control has been identified as the greatest cause of incidents in diving. At RAID, safety is our number one criteria and this starts by spending more time in the pool to cement skills- especially buoyancy control- in fact we have drawn upon the skills of the technical dive community (these are like the formulae one of divers who push diving to the extreme limits) to significantly improve buoyancy skills through new techniques they have perfected for extreme diving. We do not boast about how many people we teach to dive, we speak in terms of how many keep diving once they complete a RAID program. We don't want to just get you certified to dive we want to make sure you are safe and comfortable in the water. Having taught more than anyone else does not help you, in fact what we have seen is ever shorter courses and lower training standards emerge. At RAID we are quality focused. Start Today! Our team are among the most highly qualified in the world. As a team we felt there needed to be a change in the way people learn to scuba and we are dedicated to raising the standard of diver education around the world. Your Certification is Internationally recognized, has been reviewed by and meets RSTC, HSE standards which are among the highest in the world and they exceed ISO standards. What are the key steps in learning to dive with RAID? 1. Learn To Scuba Online. 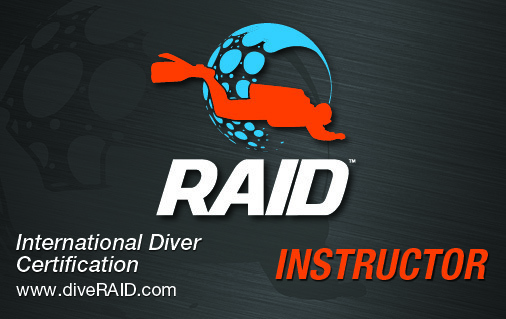 RAID's unique online training system is a superior way to learn the knowledge required to be a safe diver. 3. Pool Training. As a RAID Student, you'll develop basic scuba skills in a pool or in confined water - a calm area of water with pool-like conditions. There is nothing like the excitement of taking your first breathe underwater. You will really enjoy learning and practicing new skills at your own pace, under supervision of your RAID expert instructor. Then it's time to dive where the real action takes place - the open water. After your pool/confined water sessions, you'll head to "open water", where you and your RAID instructor will make a minimum of four scuba dives, usually over two days. You'll apply the skills you learned in confined water as well as having plenty of time for exploring the local dive site. The RAID Open Water 20 Course takes about 2-4 days depending on local conditions and how fast you learn. The RAID dive course is all about you, when you feel safe and confident and your Instructor is happy with your skill and knowledge level you join the ranks of thousands of other confident RAID divers around the world. - A promise of a short course- it takes time for critical skills to sink in and being rushed to complete a course is no way to learn properly even if there is a savings. - Where will you dive- there is a massive difference in the quality of diving that can be had say in a river or boat diving on a reef. Some courses include a fly away vacation. In short, you really need to ask about what you are getting for your money. 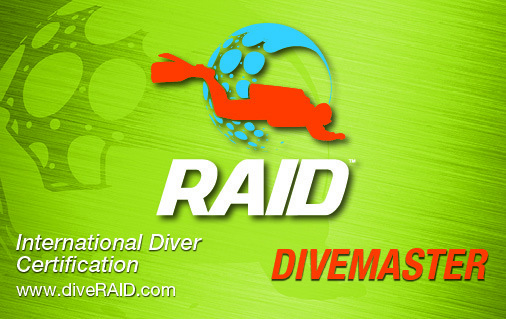 - RAID automatically includes all training materials and once you learn to dive they are yours for life- you can refer to our updated information any time to refresh your knowledge. Some programs do not include training materials and there is an extra charge. - What equipment is provided? 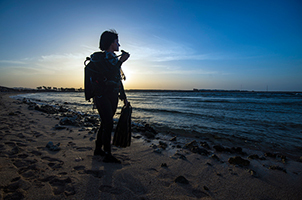 We generally recommend you own at least the essential items like mask, snorkel and fins- before you buy make sure you speak to your RAID Dive Center to get the equipment that is right for you. Generally speaking most other items will be provided but make sure you check. Where should I buy my dive gear? Let's speak openly- there are always deals to be had online for just about everything. When it comes to buying dive equipment though there is only one place you should go and that is your local RAID Dive Center. They will ensure you get the right equipment for the job, they will assemble it for you and provide instruction on specific use for that equipment. They are there to support you when you need them most. That being said there is an even more important reason to support your RAID Dive Center. Diving is a social activity- your RAID Dive Center will be there to support you with air fills, rental equipment, trips away, local guided dives and much more. They make a living from selling dive equipment. So they will appreciate you supporting them just as much as can and you will appreciate their support - it's part of what we call the buddy system, a community of people enjoying their sport and spending time with their locals. What are the prerequisites for learning to Scuba dive? The minimum age is 10 years old (in most areas). Student divers who are younger than 15 earn the RAID Junior Open Water 20 Diver certification, which they may upgrade to RAID Open Water 20 Diver certification upon reaching 15. Children under the age of 13 require parent or guardian permission to register. o Swim 200 meters/yards (or 300 meters/yards in mask, fins and snorkel) without stopping. There is no time limit for this, and you may use any swimming strokes you want. o Float and tread water for 10 minutes, again using any methods you want. Why wait, start your adventure into the underwater world today with RAID!